I know some of you are a bit confused. The title says trio, but there is definitely more than three polishes in the main photo. 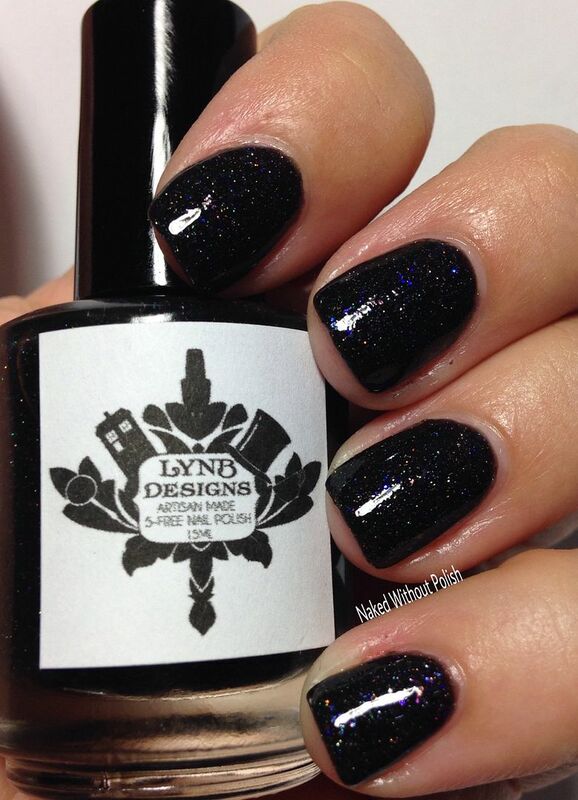 LynBDesigns decided to combine her holiday collection, the Affinity for Elf Culture Trio, with her Black Friday limited edition polishes. Since they all go together, I wanted to keep them together for one post. 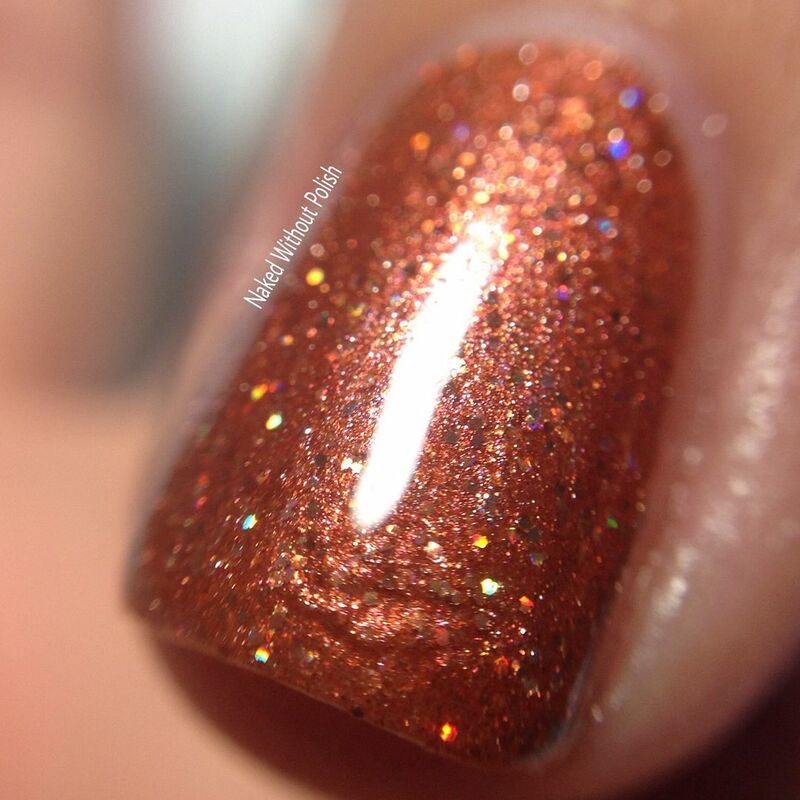 If you can't tell from the name, she drew inspiration from the movie Elf for the holiday polishes. I don't care how many collections are inspired by this movie, I will love each and every one of them. This movie will always make me happy. I'll give you more details throughout the post. Keep reading...you won't regret it! 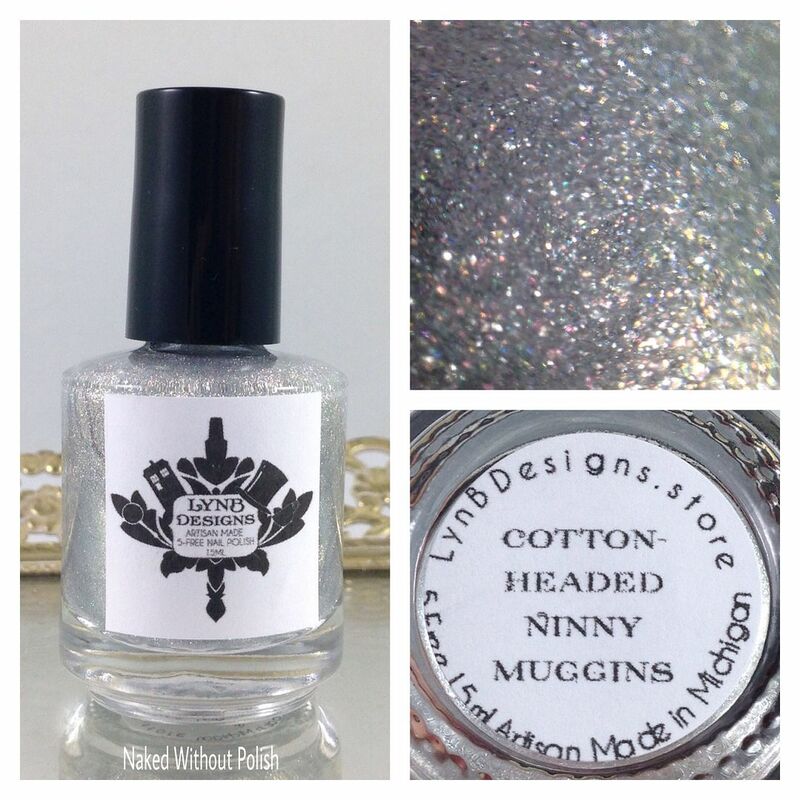 Cotton-Headed Ninny Muggins is described as "a pale silver base with shifting shimmer that changes from pink to yellow to green and scattered holo shimmer". 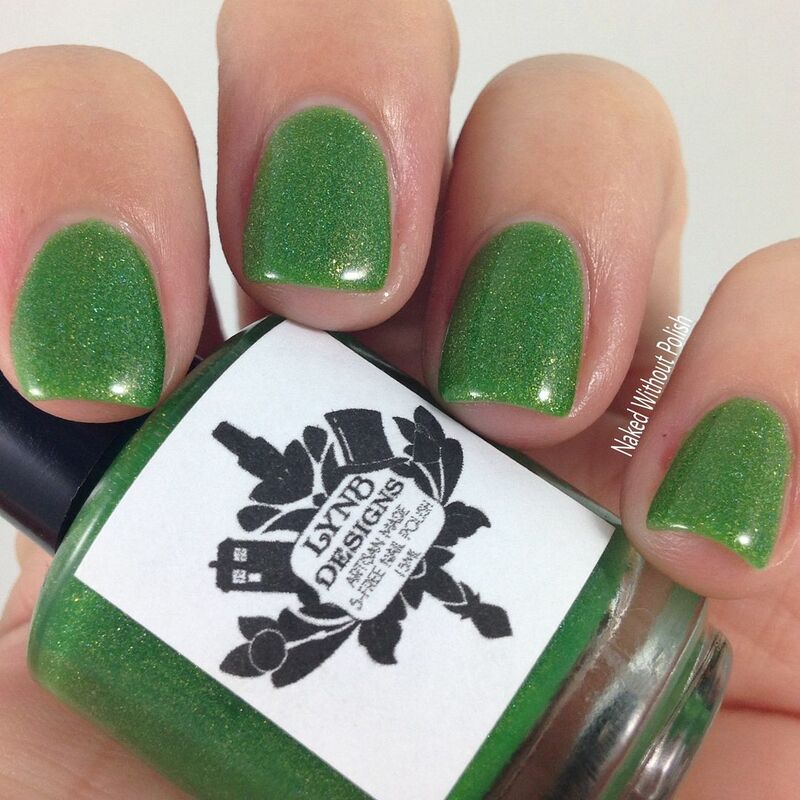 Shown is three coats of Cotton-Headed Ninny Muggins with top coat. 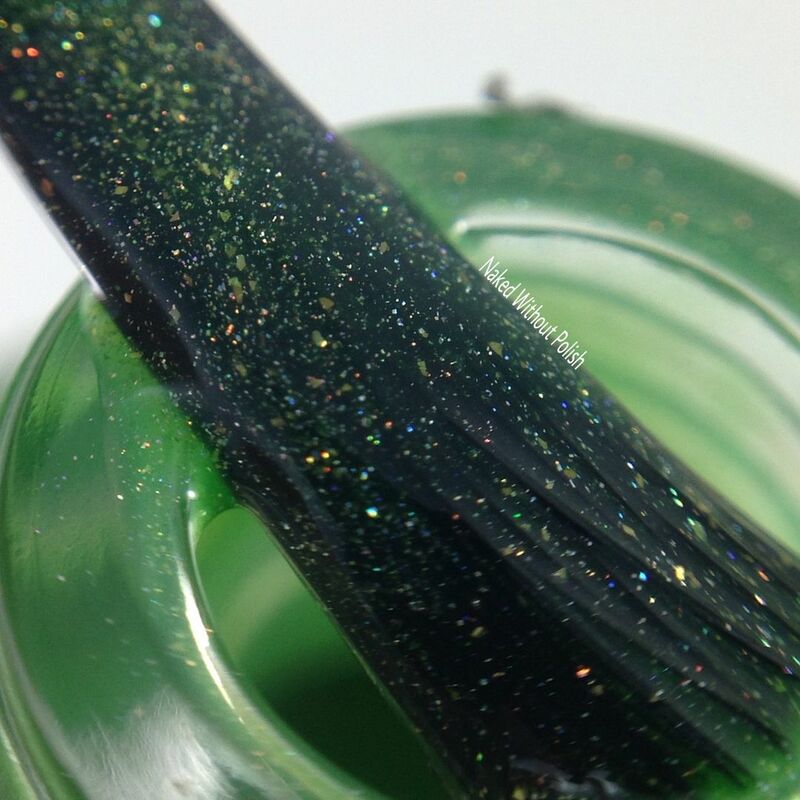 Cotton-Headed Ninny Muggins is surprisingly opaque after 3 coats. It caught me off guard and I couldn't have been happier. It would definitely make a great topper too though. Smooth application, fab formula, zero clean up was needed. 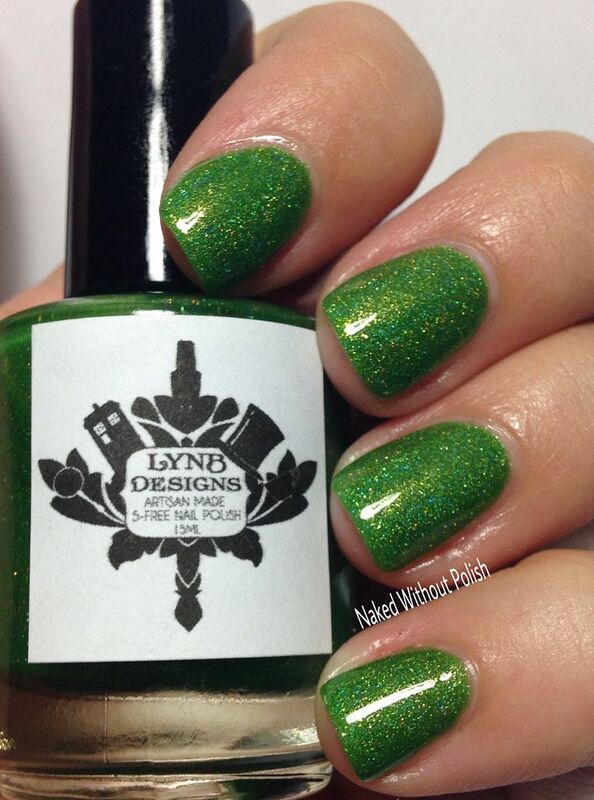 Son of a Nutcracker is described as "a bright green linear holo with golden shimmer". Shown is three coats of Son of a Nutcracker with top coat. 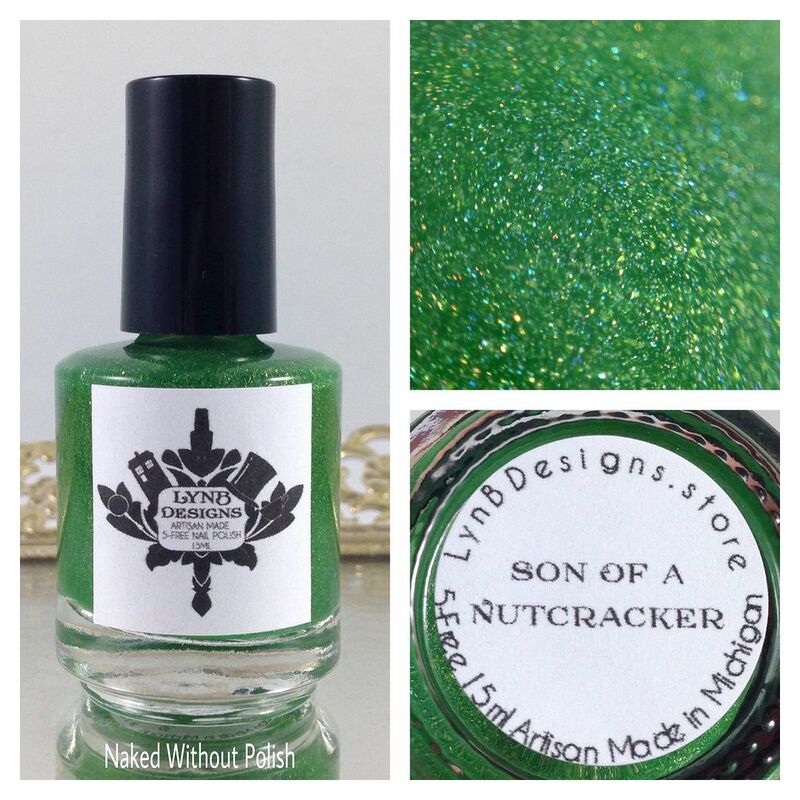 Son of a Nutcracker is the perfect shade of green...in my opinion. I love greens, and this is the ultimate green! It matches Buddy's suit perfectly, and the gold shimmer is everything. It is very much jelly. 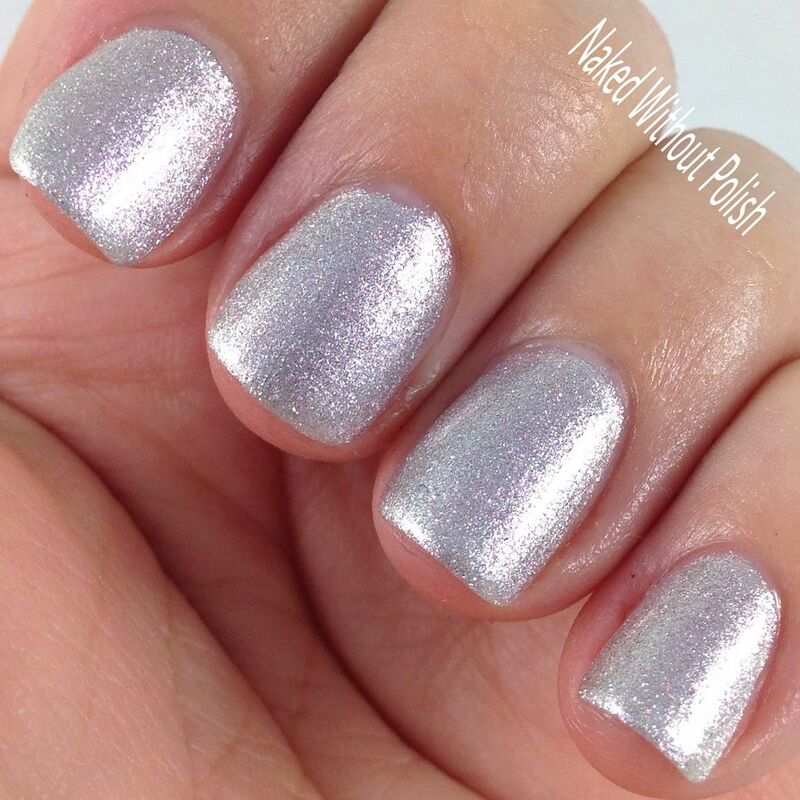 You'll want to do at least 3 coats to get full opacity. Unless you don't mind VNL, then you would be ok with 2 coats. 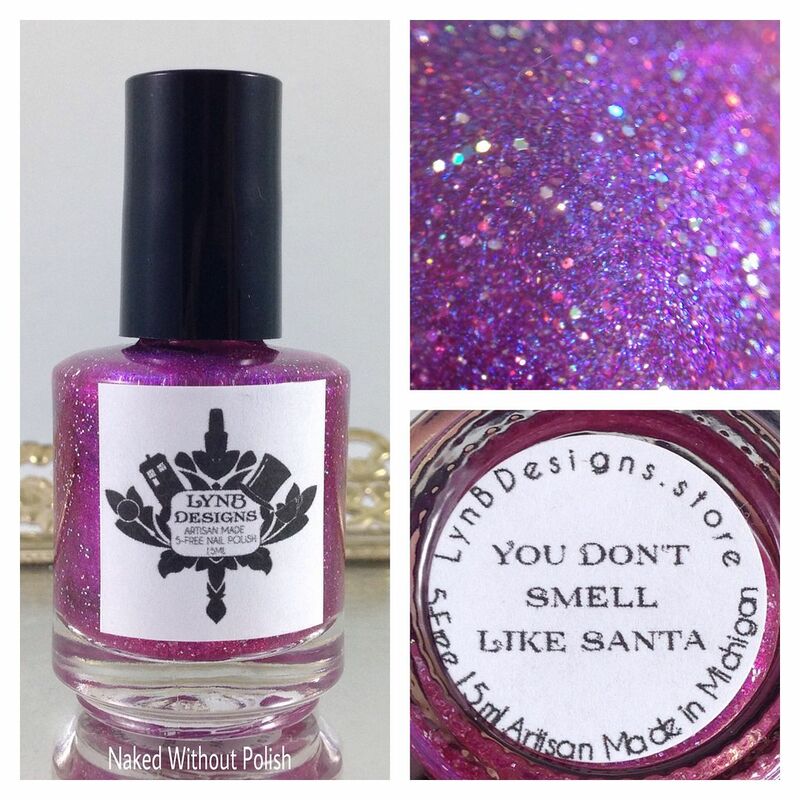 You Don't Smell Like Santa is described as "a deep red jelly base with blue to purple shift, and holo shimmer". 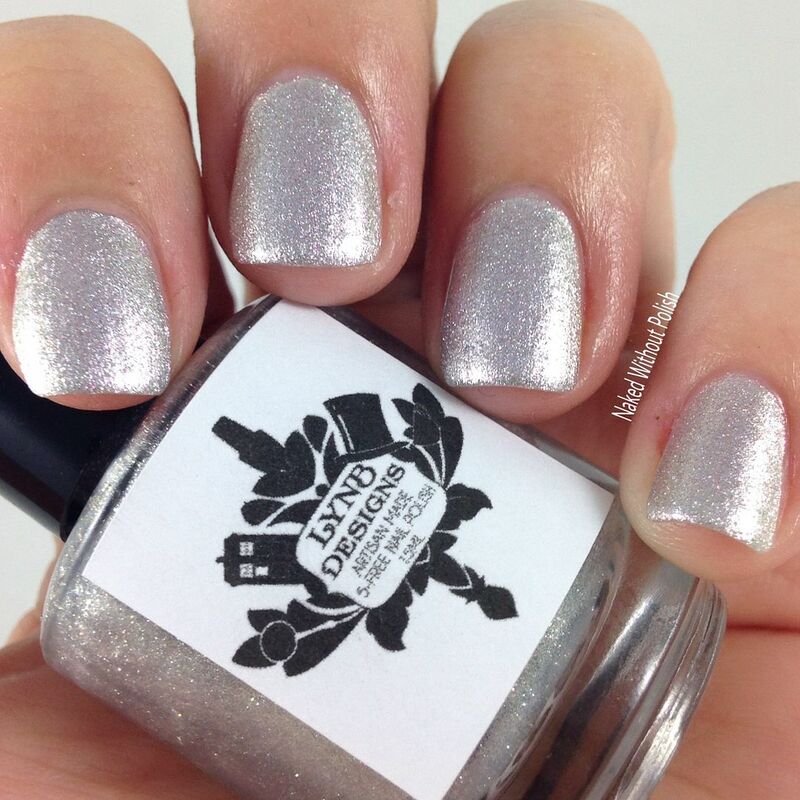 Shown is two coats of You Don't Smell Like Santa with top coat. You Don't Smell Like Santa is magical! 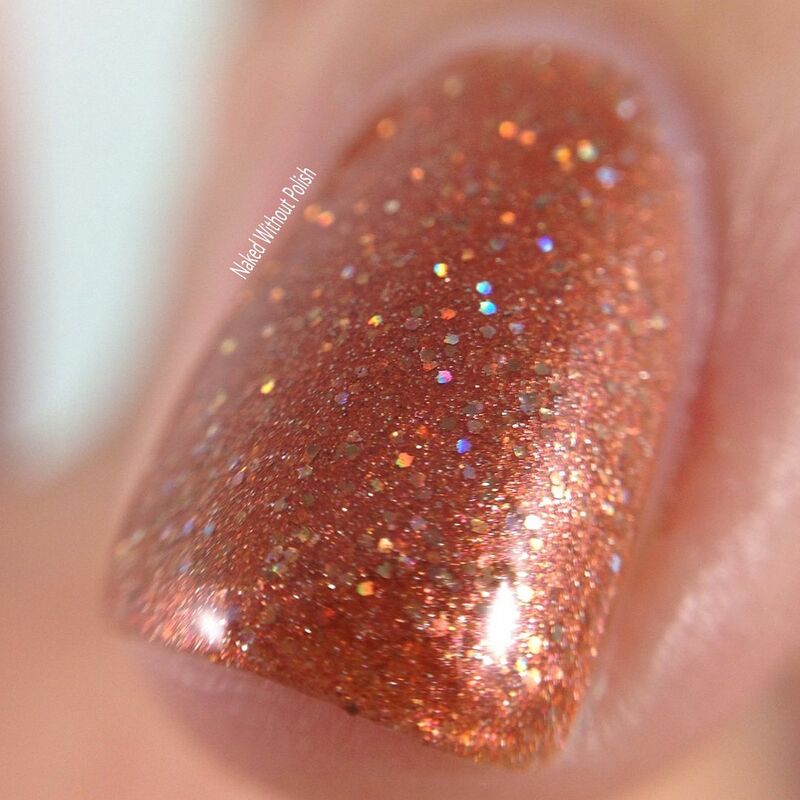 The mixture of the shifting shimmer in the red base is a genius pairing! I'm slightly obsessed with this polish. I kinda want to put it over a blue cream. I think that would be fun! 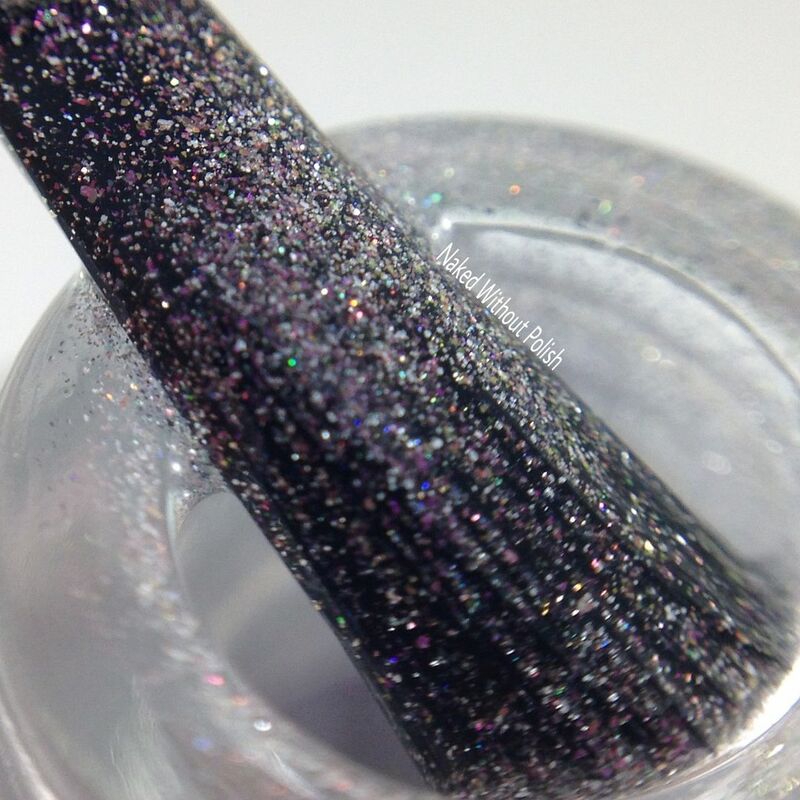 It had a great application and was opaque in just two coats! The Affinity for Elf Culture Trio will be available to purchase at https://lynbdesigns.store on November 23rd for $10 each. She decided to start her Black Friday sale early as well! Use the code TURKEY to get 50% off all orders from November 23rd through November 30th. 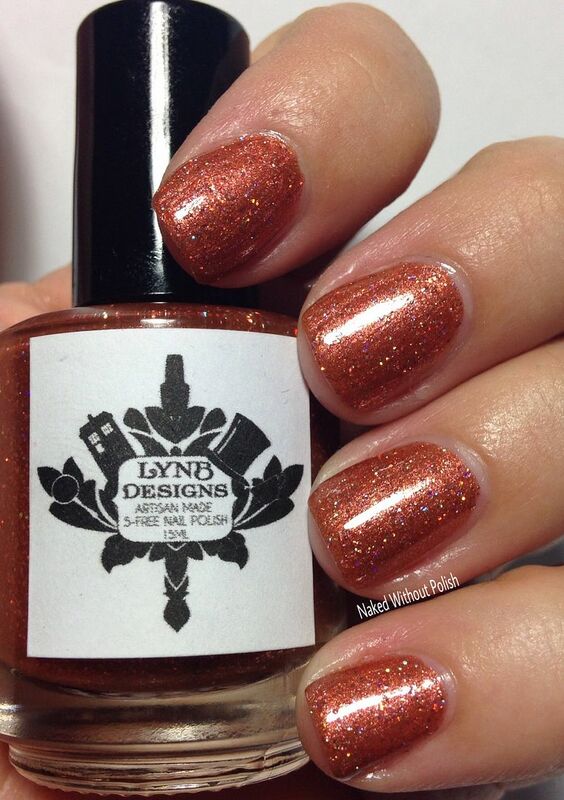 During the sale, you'll also have the chance to get 4 free polishes. Keep reading to find out more! 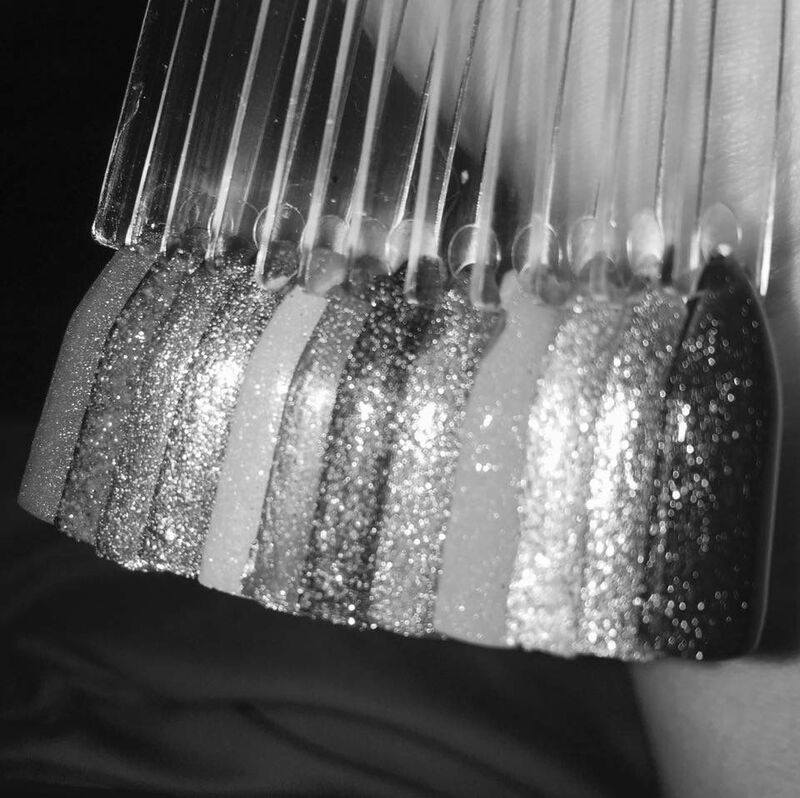 In addition to the trio, there are four limited edition polishes. 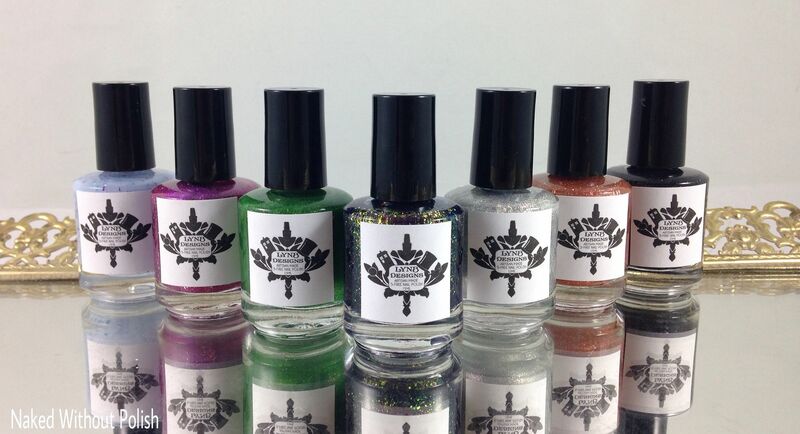 These four are tiered gift with purchase polishes. For every $25 you spend you'll get one for free. 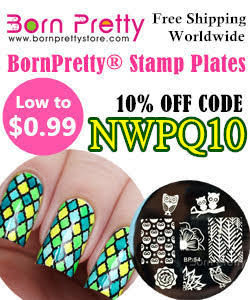 That means if you spend $100 you will get 4 free polishes. They will be available to purchase separately, so no worries, you don't HAVE to spend $100 to get them. 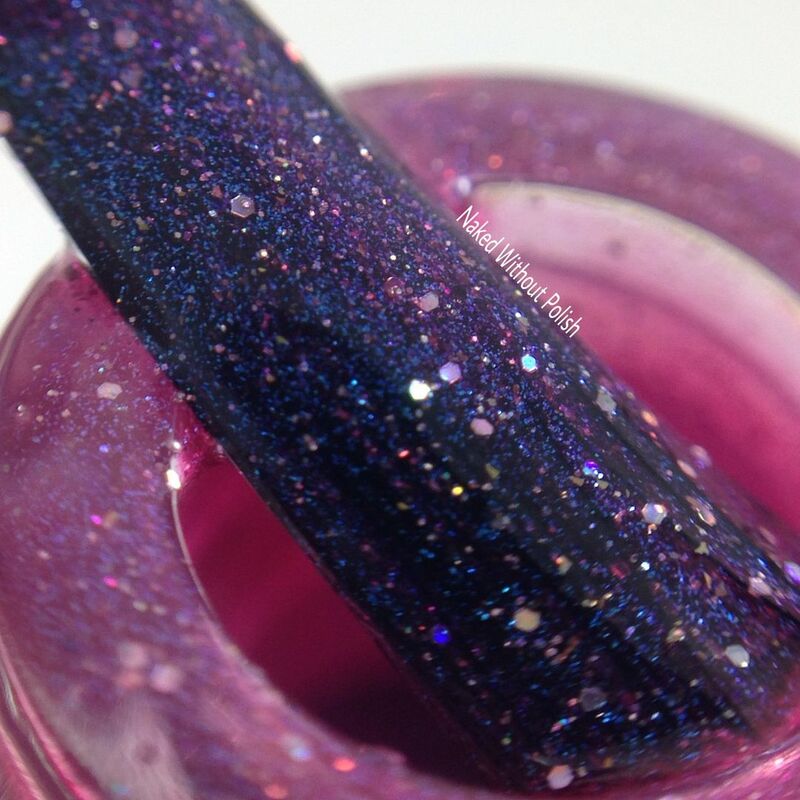 I'll give you more info in a moment, but check out the polishes first! 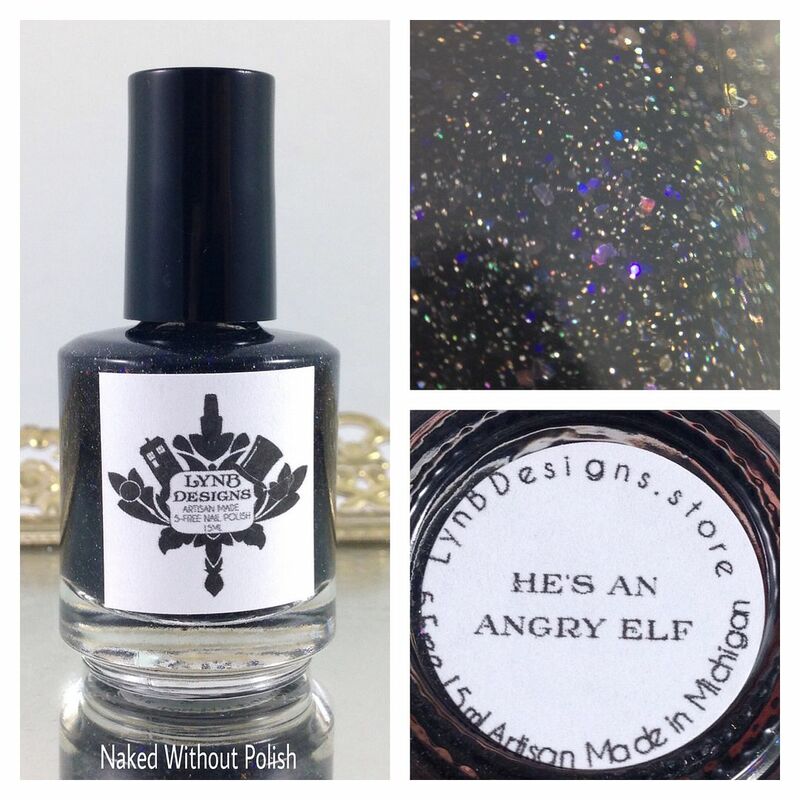 He's an Angry Elf is described as "a black jelly base with subtle holo shimmer and iridescent micro shimmer". 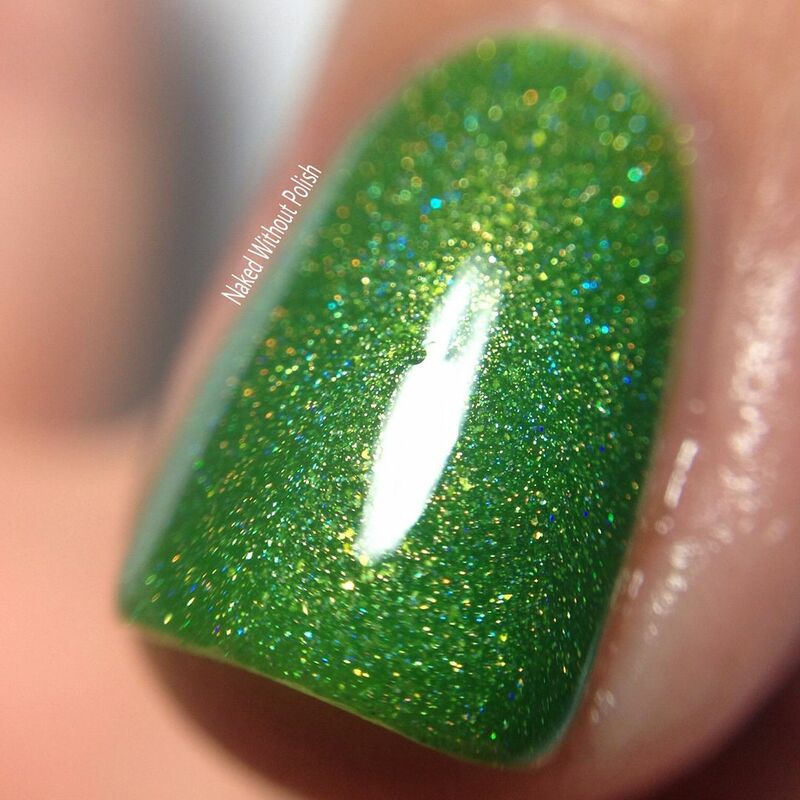 Shown is two coats of He's an Angry Elf with top coat. He's an Angry Elf is like a beautiful night sky. 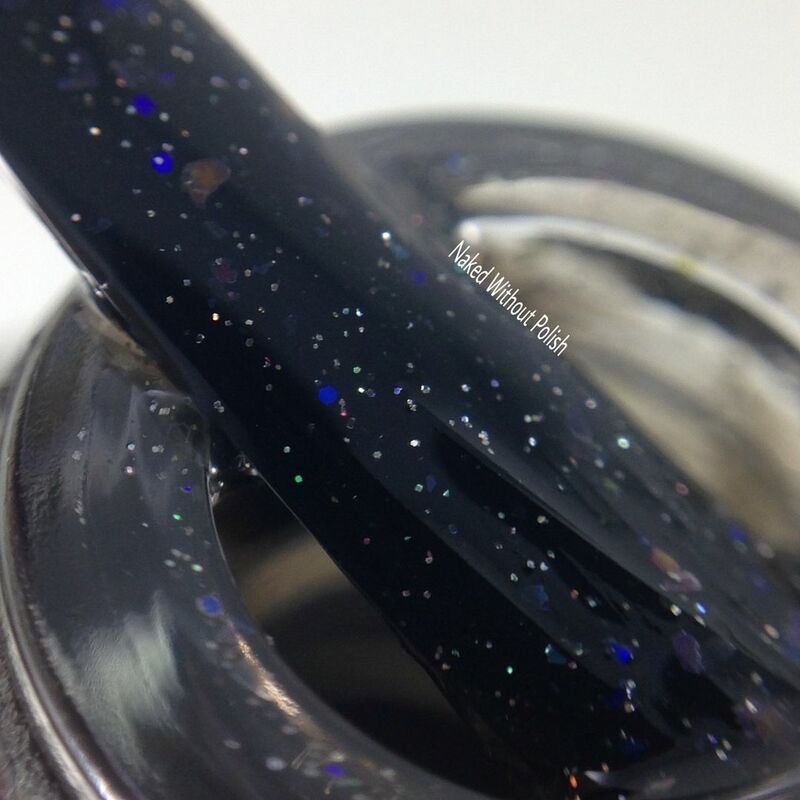 The holo, the specks of blue, the iridescent flakes...it all works beautifully together in the dark base. 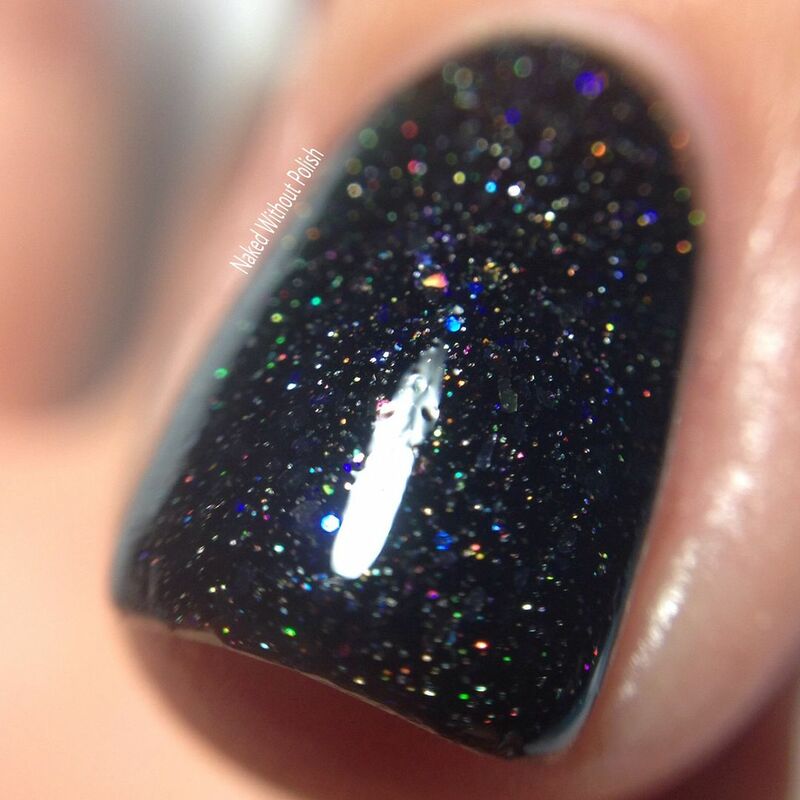 Great application, but two coats are needed for opacity. You'll also appreciate the extra sparkle that second coat adds. 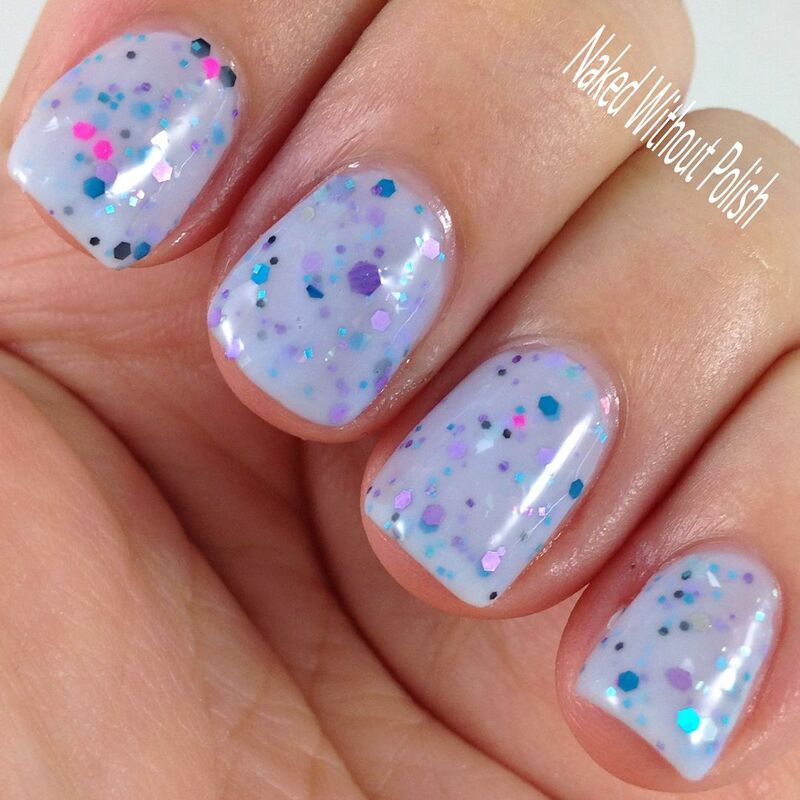 Sea of Swirly Twirly Gumdrops is described as "a bright and colorful glitter mix in a pale blue crelly base". 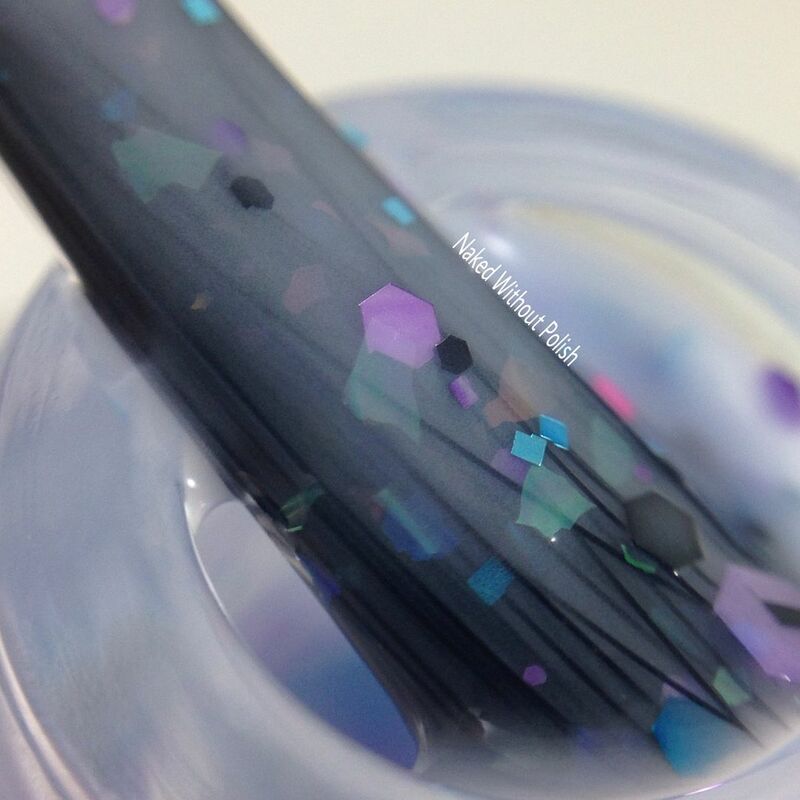 Shown is two coats of Sea of Swirly Twirly Gumdrops with top coat. 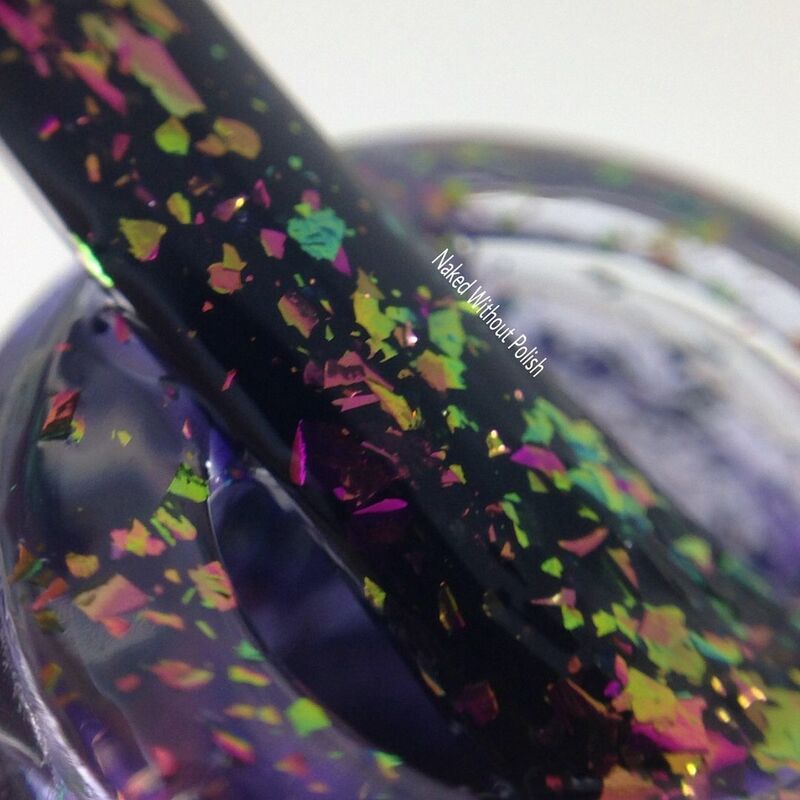 Sea of Swirly Twirly Gumdrops is pure whimsy! Just like the story. 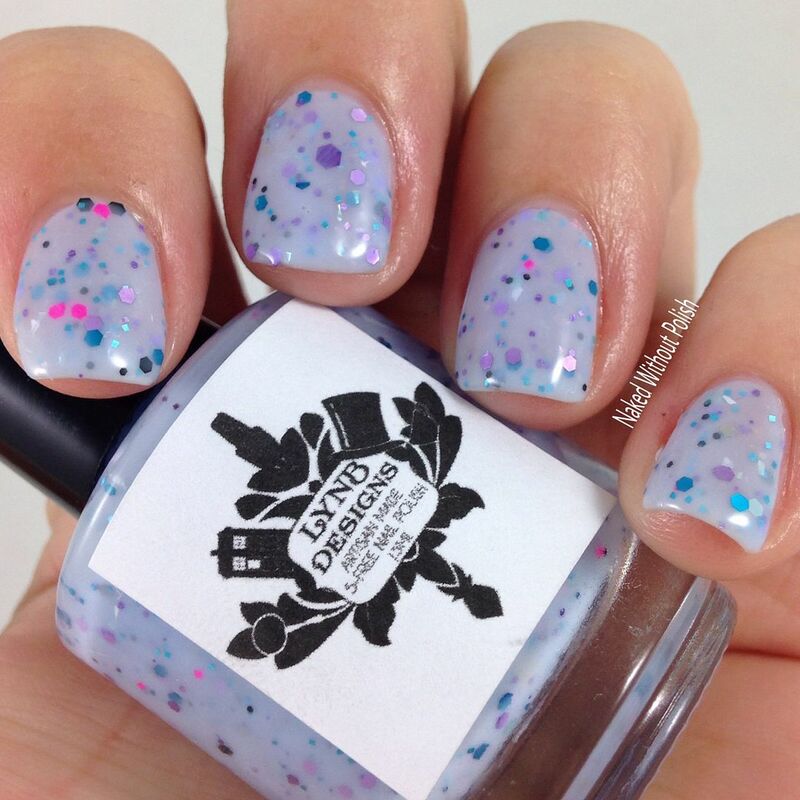 The crelly is delicate, the glitters are playful, and the iridescent flakes add the perfect something extra. The first coat was slightly streaky, but the second coat evened it out. There is some VNL, but I felt that a third coat would be too thick, and a bit too much. 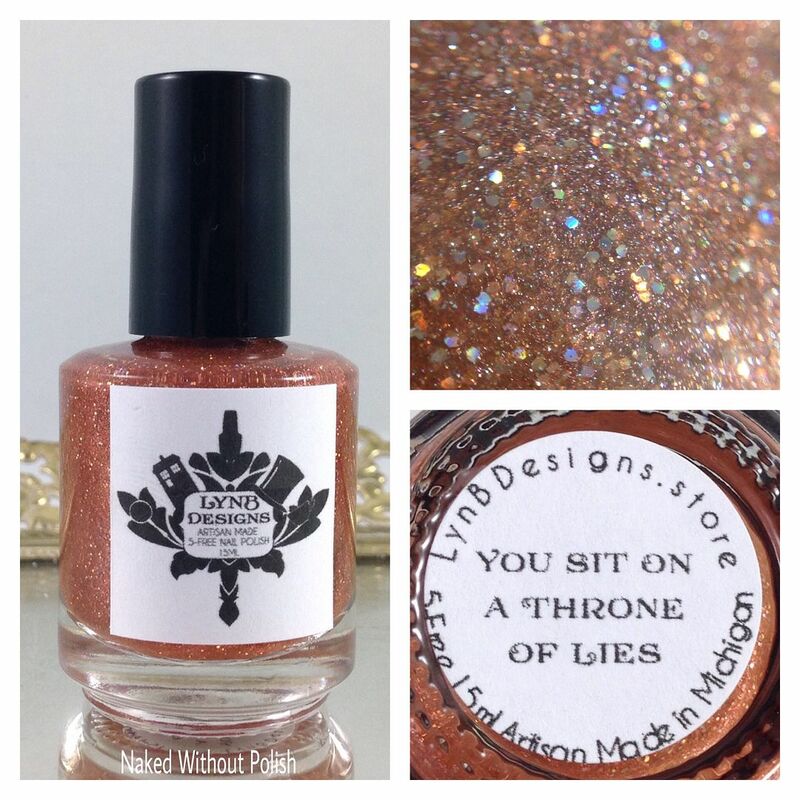 You Sit on a Throne of Lies is described as "a shimmery gingerbread colored base with bronze galaxy holo and a copper shimmer". 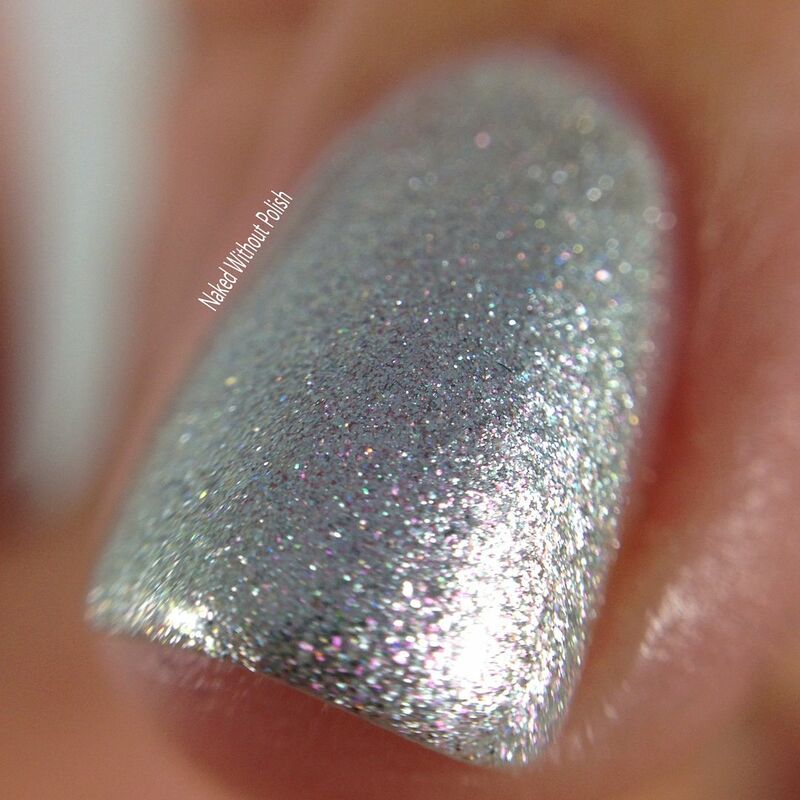 Shown is two coats of You Sit on a Throne of Lies with top coat. You Sit on a Throne of Lies is a thing of beauty! The color is a lovely shade of brown. Maybe a hint of terra cotta in there. 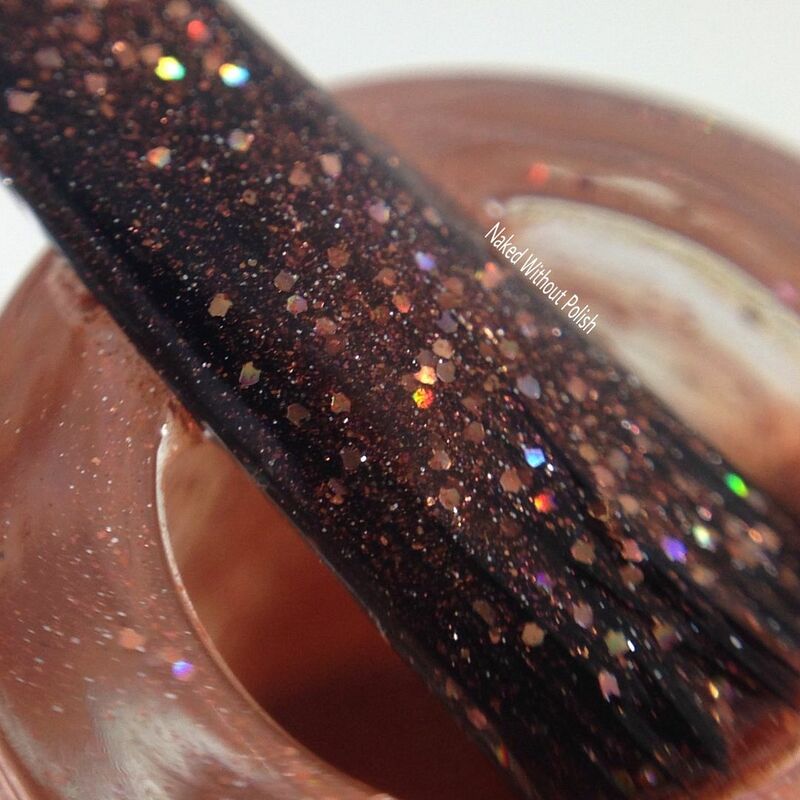 The copper shimmer pops and elevates this beauty! 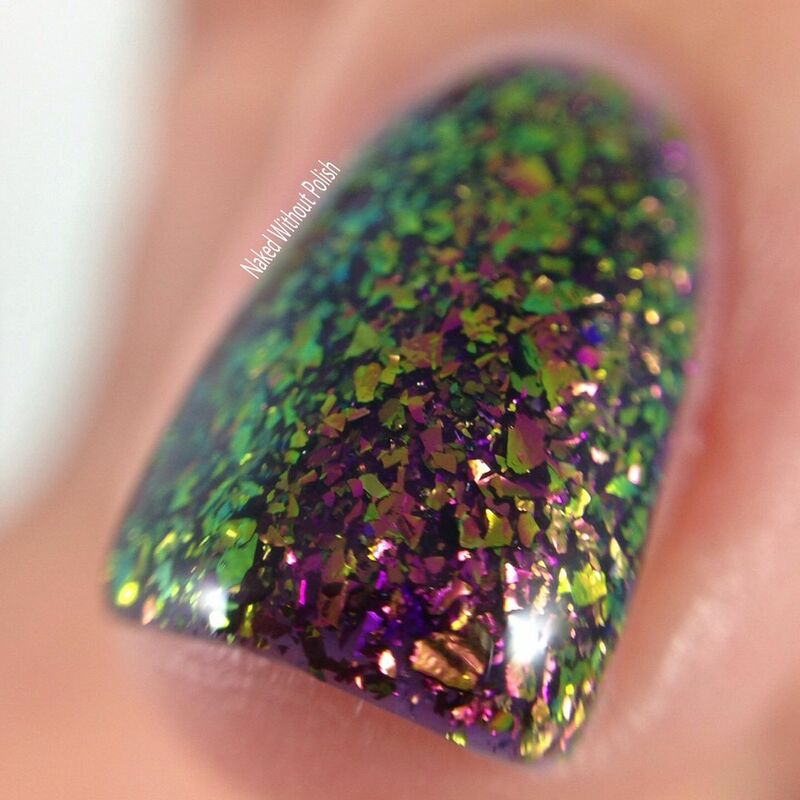 Would make the perfect base for some fab nail art! Maybe some gingerbread cookie stamping? Does Somebody Need a Hug? 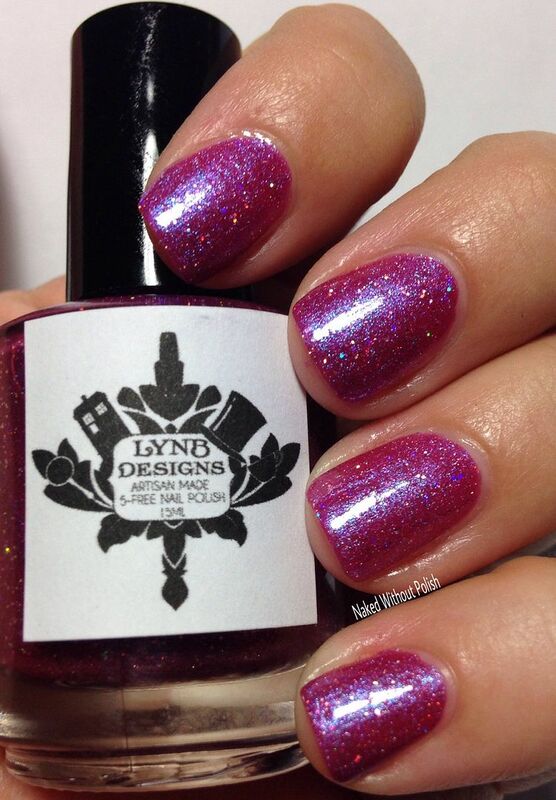 is described as "a deep purple jelly base loaded with UCC flakies that shift from copper to gold to fuchsia". 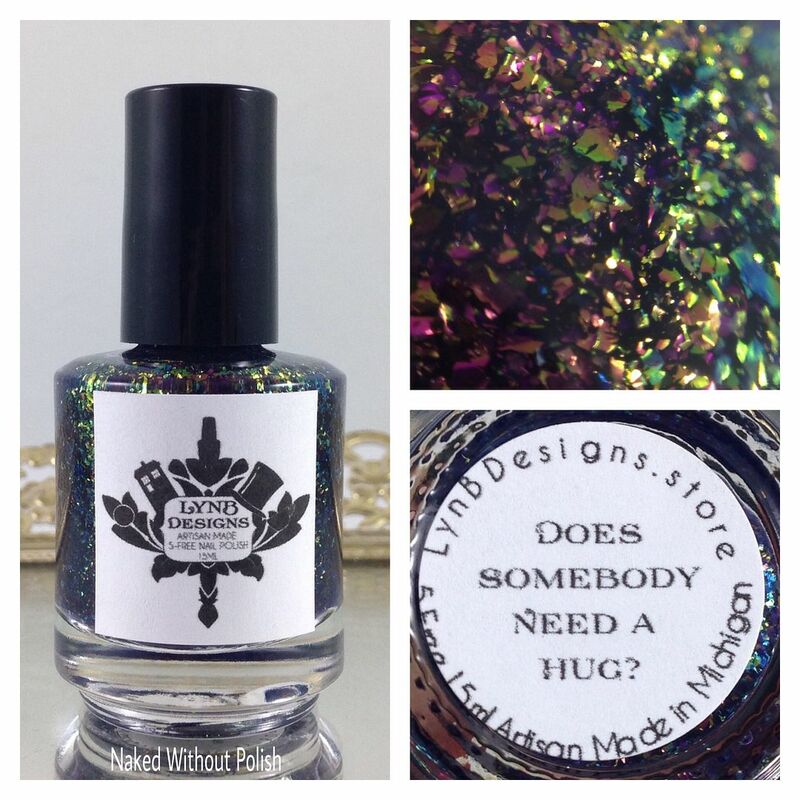 Shown is three coats of Does Somebody Need a Hug? with top coat. Does Somebody Need a Hug? is a must have for everyone! SERIOUSLY BUY IT! 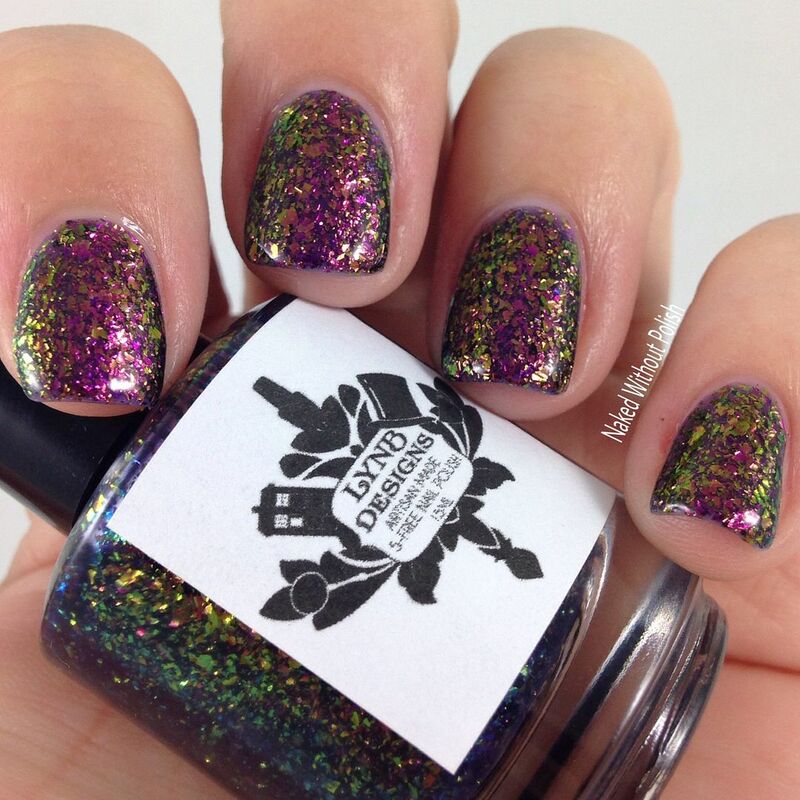 Three coats will put you in a state of ecstasy. 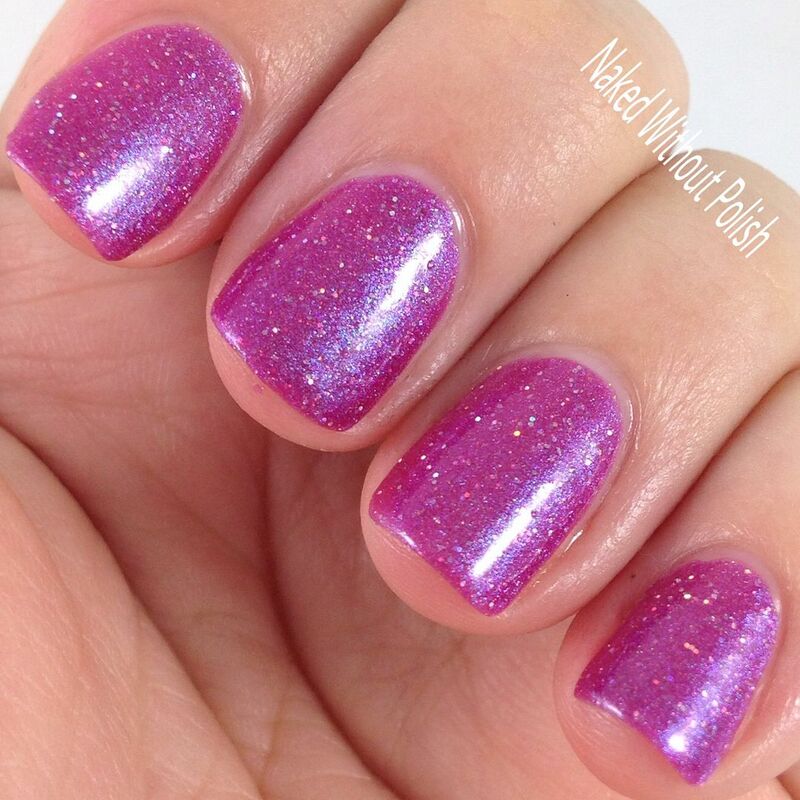 It's such a simple combination...purple jelly and UCC flakies. That's it. But something about this combo will make you squeal with delight and you'll find yourself reaching for it time and time again! You need it...and a back up! For those of you who want some of the limited edition polishes without having to spend $100, they will be available to purchase individually. However, they are not eligible for the half off sale. You will purchase them for $8 - $10, but in the shop they will show as $16 or $20 so that when the code is used you will get them for their full prices of $8 or $10. 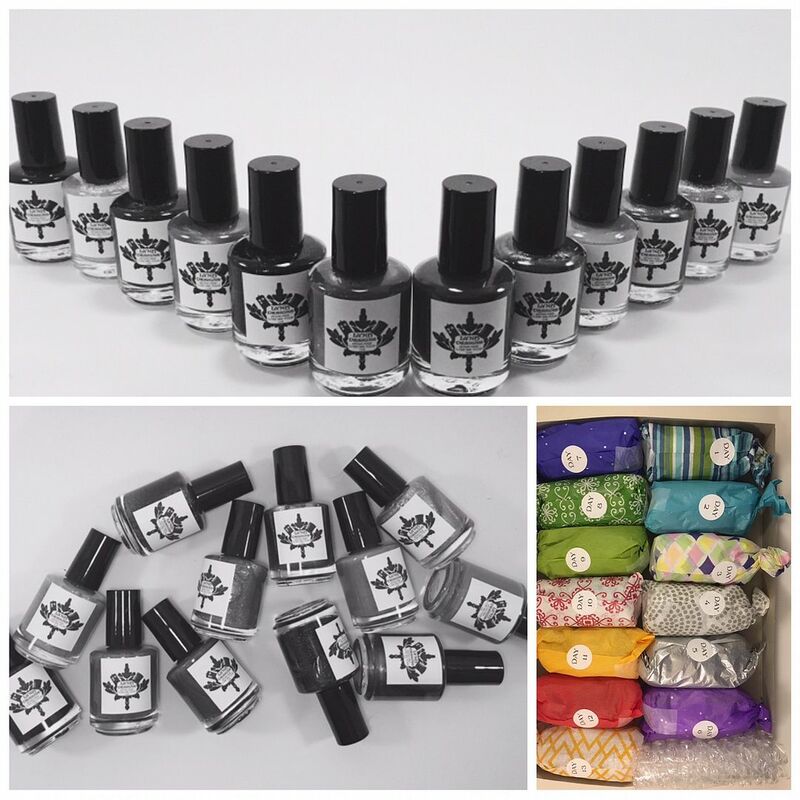 For those of you that want the LE polishes and are in her FaceBook Fan Group, email Jennalyn at lynbdesigns@yahoo.com with the polishes you want. 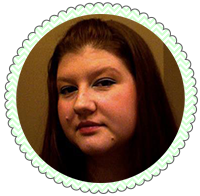 After verifying you are in the group, she will invoice you for them and you'll only be spending $5 each. Another something fun she decided to do this year is a 12 Days of Holo Mystery Box. 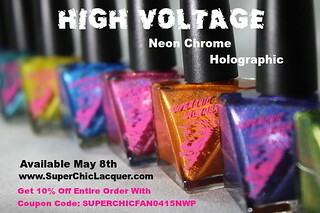 Twelve holographic polishes...9 linear, 3 scattered, that are not available outside the box, individually wrapped, and only $60. Domestic orders will receive free shipping, and international orders will receive discounted shipping. Similar to the limited edition polishes, the 12 Days of Holo Mystery Box will be listed at $120 so the TURKEY code will make the box it's normal price of $60. There are only 20 available as of now. If there is high demand she will make more. I've included a couple of her teasers. Make sure you are following LynBDesigns on all of her social media platforms (links below) to stay updated on news, releases, and sales. What do you all think of all these goodies?! Any that you are most excited about?